Chez Bear, we'll probably apres in monetier, villenueve (grot/frog) and monetier. Say Hi to Joe and Josie from me, good friends who are running Chez Bear, you'll have a great stay there! Coming out next Friday for a cheeky long weekend and was wondering how are the pistes holding out? As the last vestages of hope for fresh snowfall ebb away (if I'm reading the models right) looking forward to some fast piste skiing and long lunches in the sun!! @KenX buy you a beer if you're around. 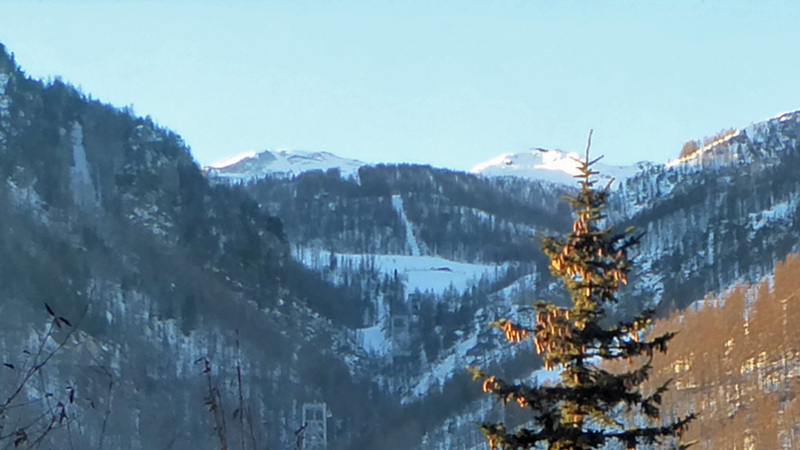 Just posted in the main weather thread - pistes icy and a few runs closed - definitely needs some fresh snow. @Hells Bells, nowt to get excited about, though I will check first thing in the morning. As I posted in the weather thread earlier. We're hoping that it's going to be the reverse of Xmas / New Year in that the World and his Wife will not book the Southern Alps for the forthcoming High Season due to lack of snow (they all booked here for Xmas/New Year as we had such good coverage) and that we'll eventually get the snow minus the hordes, but do think we're clutching at straws, as many have already booked and here many are second homeowners with families. Though suspect the UCPCA Off-Piste courses here might not be that popular currently and driving through La Grave Monday and again Yesterday was like a ghost town! Trouble is we can't comment as we know them, and yes they are trying to run a business etc, so just leave them to it, I'll wait till I bump into them. The one thing that will brighten a possible dull weekend up is the Andros Trophy and there's a hell of a lot of infrastructure been set up at the circuit. @Weathercam, the world and his wife, and most of Aix-Marseille booked their February/March breaks months ago. My place was booked up by end of July for the whole 4 weeks, and balances are all paid. You can always hope it dumps throughout as then they'll stay in or go to the thermal baths. oh also is it French half terrm? Pretty well yes to the above, though KenX can confirm more than me, as he accused me of "being a rat leaving a sinking ship" when I disappeared earlier this week off to Chamonix, and I'm now having to consider another road trip to Austria! But pistes still look in great condition with the early corduroy groomed piste conditions. And cheapo flights to Turin. Hope the snow arrives soon. I am in the area end of March- all of April. @JackSkier, feck me we'll all be splitting our wrists by then if it doesn't happen! Hardly even a dusting overnight / early hours. I did think your hopes of 3cm had materialised to 3mm. I havent cancelled my visit to Serr Che next week. I am assuming there is still good piste skiing to be had and Serre Che in the sun is unbeatable! Slightly concerned for my mate who had rather scrappy skiing in Andora at Christmas and was hoping for a bit more next week but hey ho, doesn't change the taste of the beer!! @RetroBod, piste skiing still really good, evidently ?? As ever hope I'm wrong on both counts!!! @RetroBod, I was up in Chamonix earlier in the week and could not wait to get back here, snow or no snow! And a bit more investigation and this is what is currently (though can all change) on the cards for next week. BTW is your garden cam working? 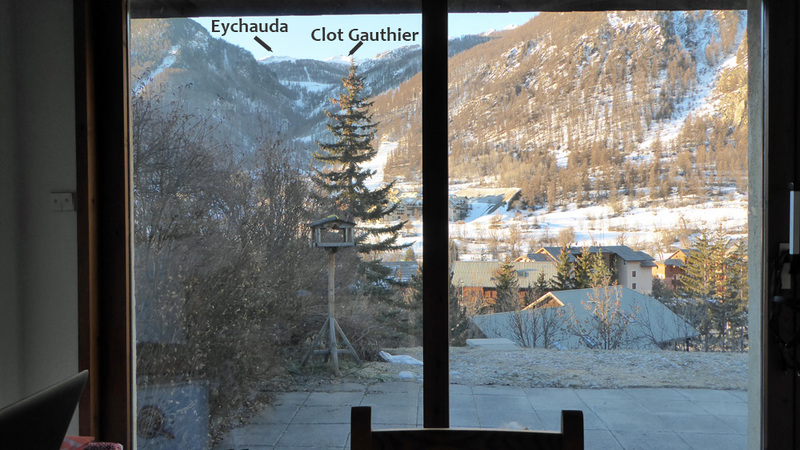 Good mountain restaurants include Echaillon (off to the right of the Fangeas piste between top of Casse du Beouf and Clot Gauthies lifts). Peyra Juana (Monetier side, off Rochamout blue towards the bottom of the mountain) and Le White (at Serre Ratier). Amazing views at top of Yret. Has the Peyra Juana changed ownership in the last few years? When I visted last week we stopped off for a beer and I had a quick look at the menu which seemed quite basic compared to my memories of it a few years ago. @Alpinebear, no, same owners as always. Main menu always does look a little basic, and hasn't changed in years, but they come into their own with the Plat du Jour (often more than one) and home-made desserts. @Hells Bells, your right the view is stunning. Hope this snow arrives on Wednesday, at least that might make it bearable to end of week, as very hard packed and polished at the moment. Bonjour Serre Chevalier experts - do any of you know of Pinewood Chalets/apartments? They have excellent prices and we're thinking of going for Easter. Just want to know if they are reliable/as good as there website looks? We were let down by a chalet operator a couple of years ago so are now quite cautious. @blackdog123, AFAIK they're a good outfit, know the owners well. Maybe Weathercam could add some feedback? @blackdog123, they're literally down the end of our road, two mins walk. They really look after their guests, however, I would check that they have not got any school parties booked, and maybe ask about what other clients they have booked in, just that they do have various groups of snowboarding dudes who like to party. That said they do have other apartments. 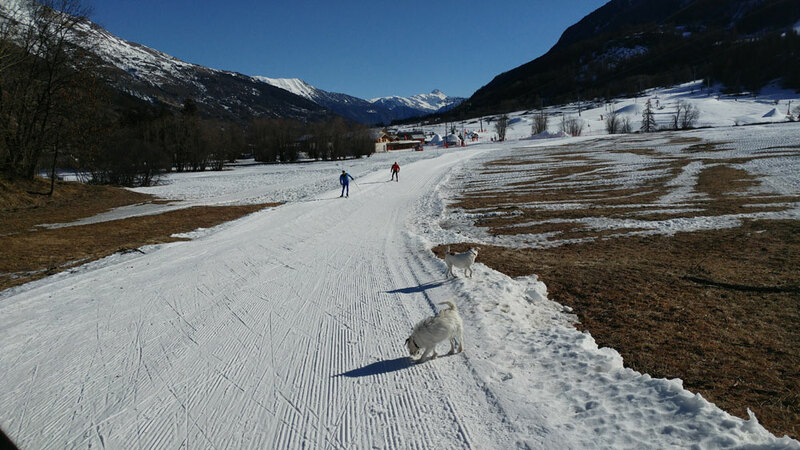 I've been cross country skiing recently now my back is better, though still afterwards I have to go for the painkillers, and the cross country piste is still in good condition given the fact that we now have not had any fresh snow for a month. 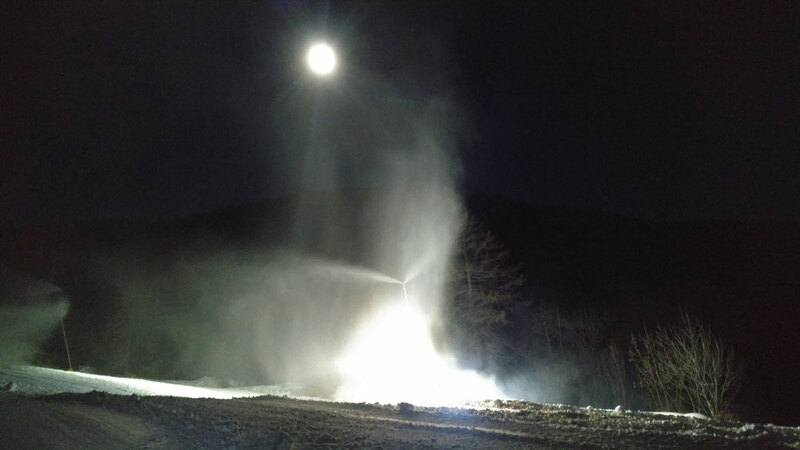 In the pic you can see the mounds of snow cannon snow and they really have been blasting as much as possible all through the night early hours as temps are below -10 as we found out when we went for a Lunar Ski Tour at 03:00 for the Lunar Eclipse! In fact, as we had a good ski down we actually decided to go for first lifts this morning and ski the corduroy of the groomed pistes, and they are all in very good condition though some of the lower slopes off the back of Prorel are closed, but the main pistes down to mid gondola station are all in very good condition. We also went over there to look at what Red Bull have built for a video that they are filming, pretty damn impressive! If you read our Weather/Forecast blog you'd know that we were getting a little excited at the prospect of a Retour d'Est as that often means fresh snow for us here in Serre Che and a lot more snow in the Queyras which normally then warrants a road trip. As for forecasts, a bit of a dribble tomorrow, then next week is looking unsettled but still way off to be sure. There is an off chance of a decent snowfall further North that might warrant a road trip to some resorts in Davidof's neck of the woods where I use to go with my nieces but will wait a couple more days to see how things pan out. I was originally meant to be visiting in a week and a half but I cancelled and am now heading to St Anton instead. Shame as I was really keen to check out the area. Still, as I’m travelling all the way from Australia I really like to experience somewhere that is looking properly wintery as well as somewhere good to ski. Is that snow I see up at the Col? Dare we hope that Alp D'Huez and the East side are sharing? So looking at the forecast for next week, seems like might be snow around. 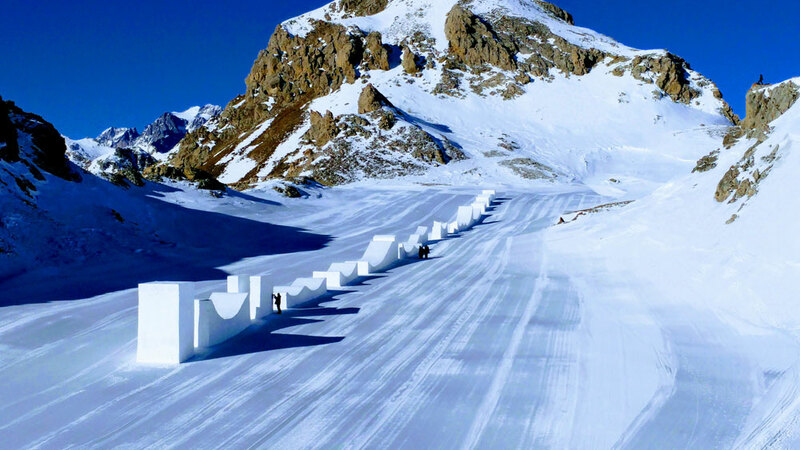 What is Serre Che like in flat light / snow? Prone to closure? Skiing below treeline? Staying in Villeneuve. Any thoughts appreciated! Best tree skiing in the Alps. @Marjon, lots of skiing below the tree line so fantastic if it is snowing. Lovely blue run Marteau black Casse du Boeuf and red run Bez back to Villeneuve all in the trees. Plenty of others.